I love crocheting, especially filet crochet. 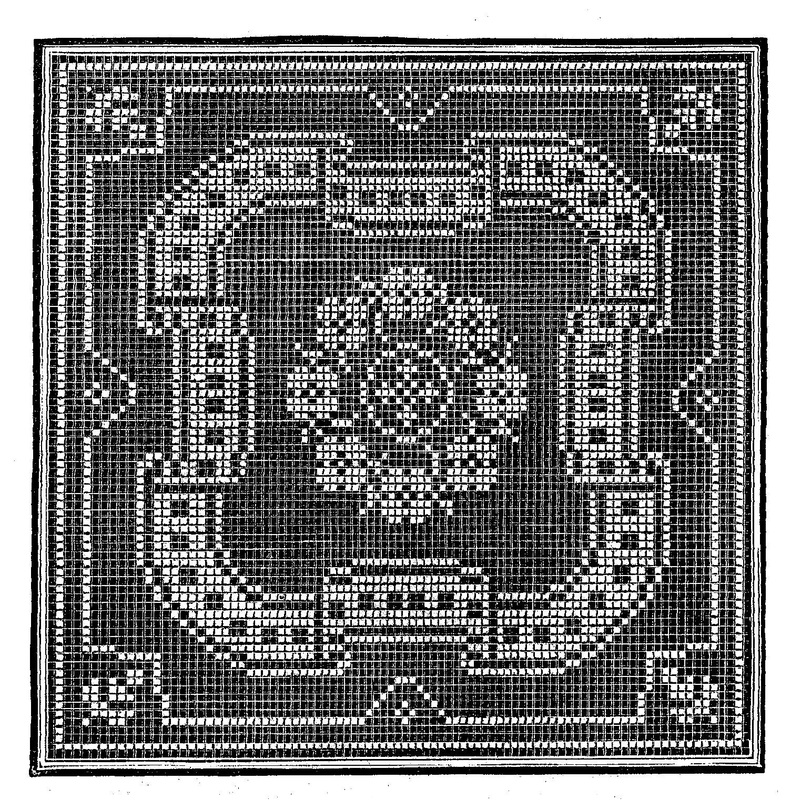 This is a wonderful digital image transfer of a crochet pattern for a square design. By counting the squares it would be easy to figure out the pattern and how to begin this pattern. I can imagine this crochet pattern used to created a lovely tablecloth. 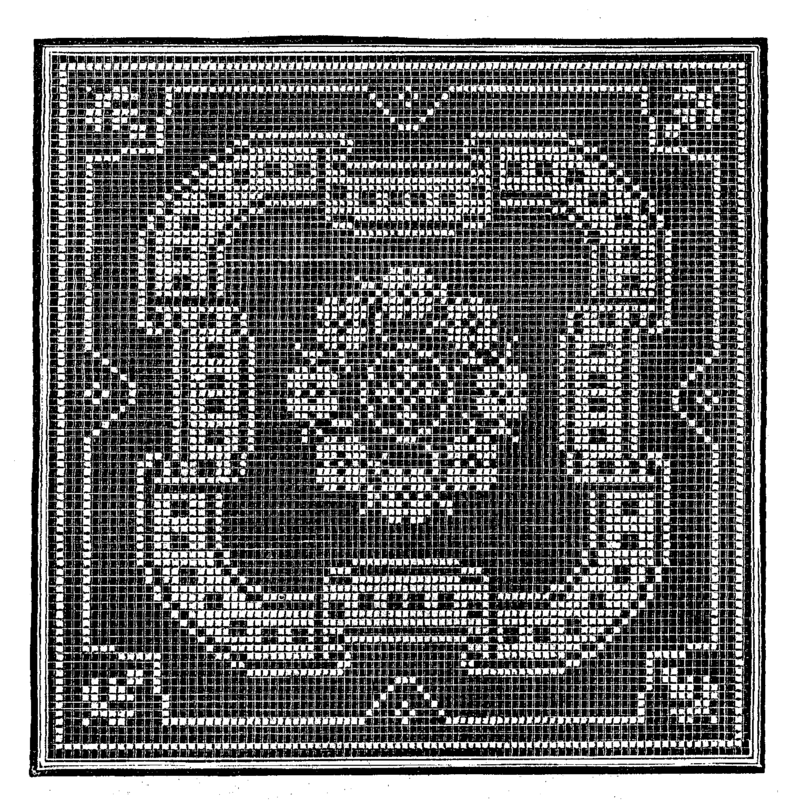 I've given you both the .jpg and .png files of these image transfers. Enjoy!